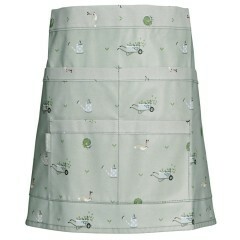 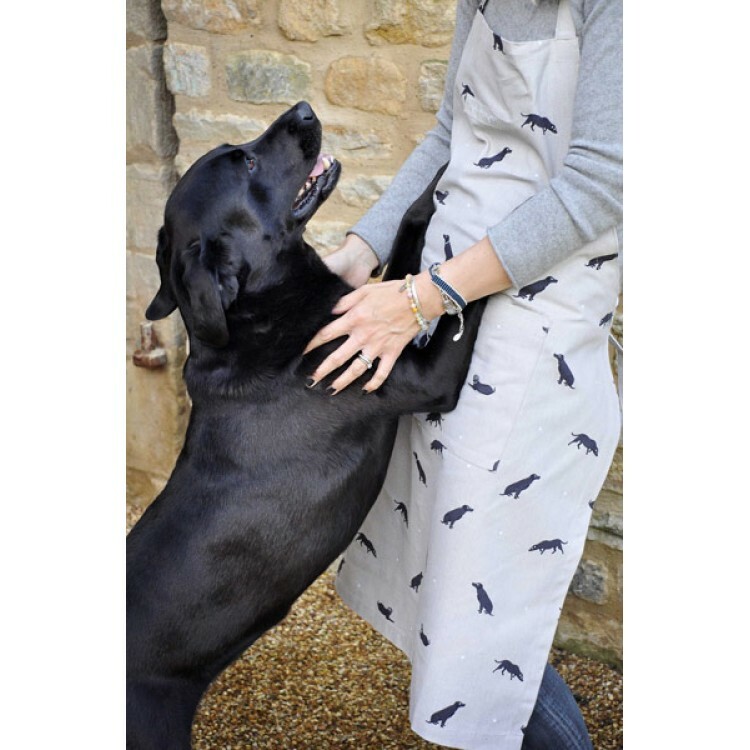 These aprons make a perfect gift for any owner of a black Labrador retriever, young or old. 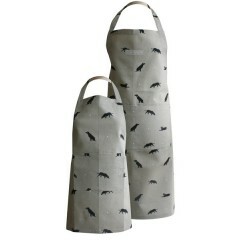 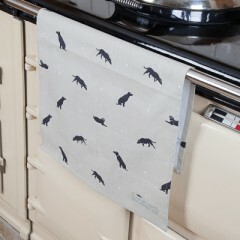 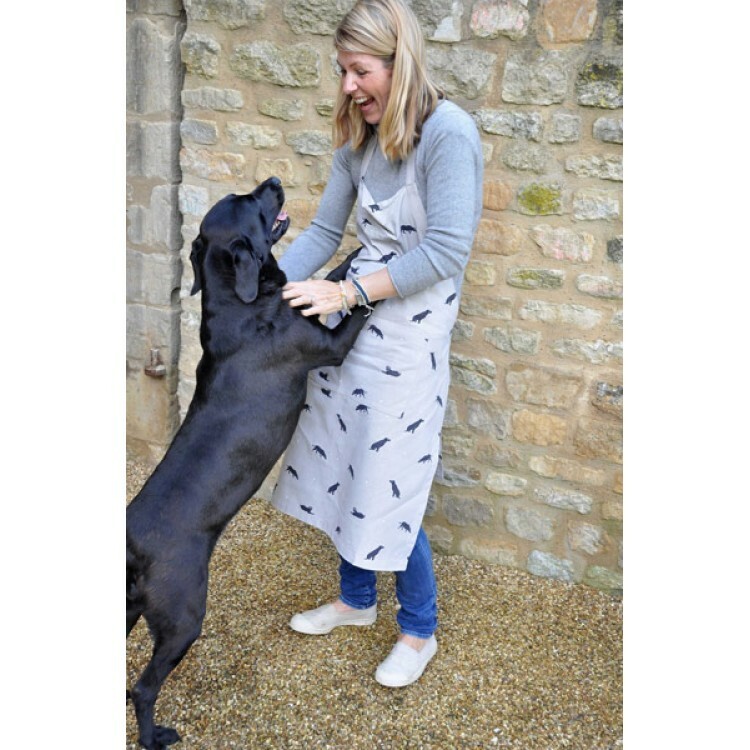 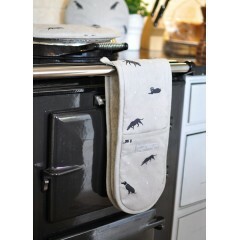 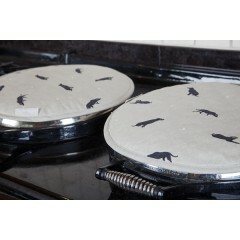 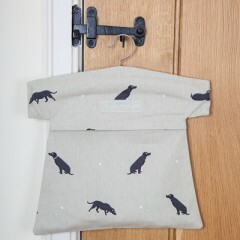 The 100% cotton cooking aprons are decorated with Sophie Allport's silhouettes of black labs in various poses and whichever size you choose, there's a good-sized, deep pocket on the front for when you've got your hands full in the kitchen. The adult-sized cooking apron is just under three feet long and almost a foot across, to ensure adequate protection for whatever you're wearing underneath. 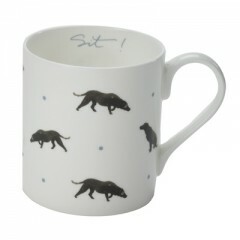 Perhaps the smartest of all the retrievers, black labs are big, friendly dogs with healthy appetites and if you've got one then everyone in your family will love this affectionate tribute, rendered in pale blue-grey cotton and, like everything in the Heart to Home collection, as practical as it is attractive.